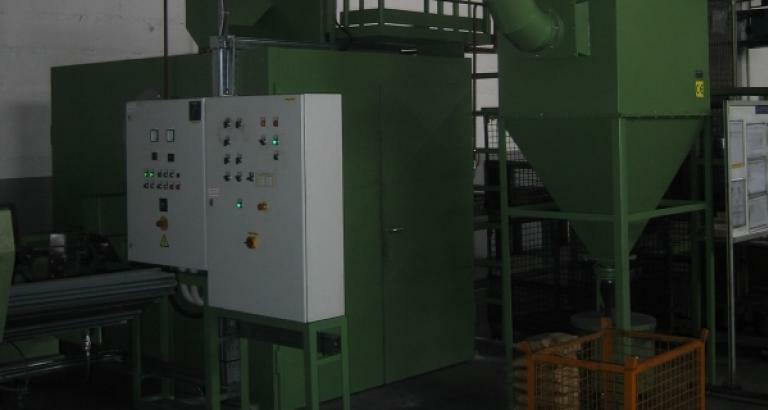 Shot blasting machine PL is designed for blasting flat steels of different dimensions and length. It is ideal for medium production capacity. The whole process is automated. 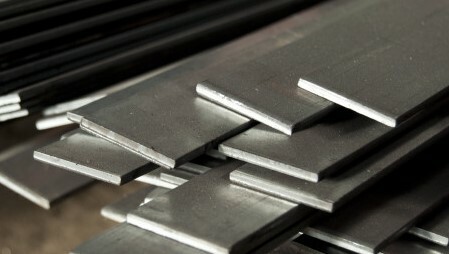 In the first step flat steel is loaded to a loding device. 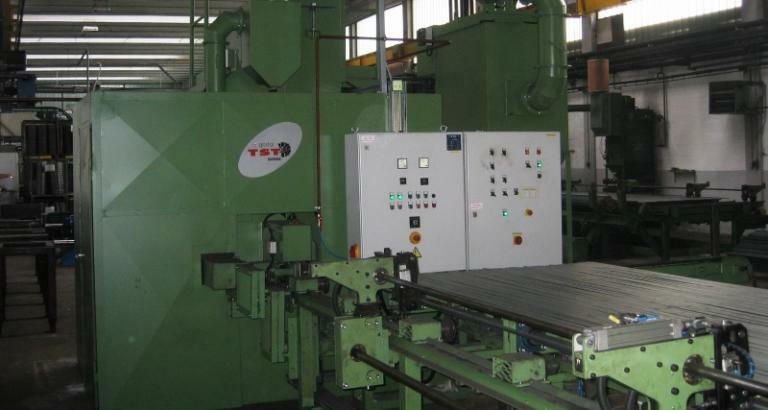 Horizontal manipulator for automated handling ads flat steel to conoid rollers and pressing wheel is pressing flat steel on the rollers. After finished blasting process work pieces are automatically unloaded from roller conveyor. Width of guiding beam on roller conveyor can be adjusted to a width of flat steels. 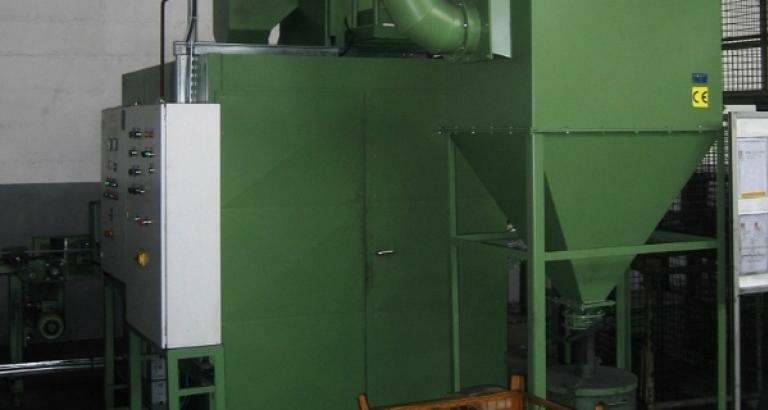 Two guiding flaps made from wear-resistant steel located in the shot blasting machine guide the jet to work pieces in the way that the energy of blasting wheel is fully utilized. Switch at the entrance automatically turns on or turns off blasting process, so that the blasting wheels blast only work piece. This means less wearing of the machine and less energy consumption.